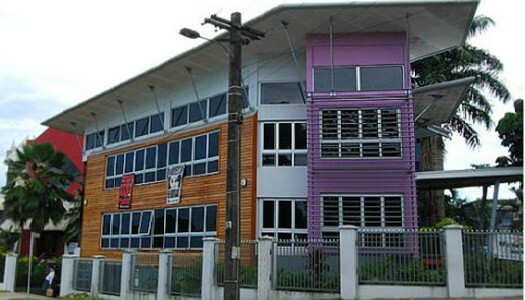 The Fiji Women’s Crisis Centre operated as a Collective including volunteers and paid staff since its establishment in 1984. However, the structure of the Centre has changed and with the increasing number of paid staff, the management structure has also changed. While the Centre continues with its staff collective, a Management Committee has been set up including the Board of Trustees and management staff of FWCC and the Project Officers of its Branches. As a charitable organisation, FWCC has four registered Trustees who sit on the Management Committee. The day to day running of the Centre is carried by the Coordinator and 16 staff of the FWCC while major decision-making is done in consultation with the Management Committee. The Management Committee has quarterly meetings and is responsible for overall policy and direction of the Centre. Working committees have been established under the former Management structure and including members of the Friends of the Centre. This working committees co-opt skilled resource people to provide specialist advice and policy guidance to the Centre in key areas such as legal advocacy, staff policy and research.